I know, I know it's been a LONG time since my last post, and for that I'm truly sorry. Every time I go to write a new post I get sidetracked. Well, having just returned from 10 glorious days of vacation, I'm refreshed and ready to share a post with you and in the cold dark days of December in NYC, what topic could be better than Hawaii? There is a reason that so many countries have spent millions of dollars to put observatories on the top of this summit. The view from the top is breathtaking for two reasons, being 14,000 ft above sea level and the views are amazing. We went with a tour rather than driving the steep rocky slope ourselves. Mauna Kea Summit Adventures was fantastic. Our tour guide,Chris, was super knowledgeable about the creation of Hawaii, the animal life, conservation, and of course astronomy. After watching sunset at the peak, we went down the mountain to wait for total darkness where you get a star show. Different constellations are pointed out, explained, and then you get to take a look with their high powered telescopes. It's an all day trip (from about 1:45pm-10pm) but totally worth it. Heavy parkas and gloves are also provided. When we went it was about 80 degrees on the ground and 30 at the top. On the day we went to the park, it was chilly and rainy but that's ok, after all it is a rain forest. There is much to do and see at Volcanoes National Park. Price of admission is good for 10 days, which is a good indication of how long it would take to do all the hikes and see all the sites. We drove a good deal of it because we only had 1 day. We went to the steam vents, drove Crater Rim Drive to the Sea Arch, hiked the Puu Huluhulu trail and went the Jagger Museum to wait for sunset when you can really see the glow from Kilauea volcano (during the day you can only see plumes of smoke). It's amazing how beautiful and majestic the glow of hot magma can be. It also brings your 4th grade science class to life. My niece happened to have a test on volcanoes the day we were there. To see the lava fields, you can can do it on foot, but again, due to time constraints we took a helicopter tour. We used Blue Hawaiian out of Hilo. We ate many good things on this trip, but Kenichi was the best complete meal we had on the island. 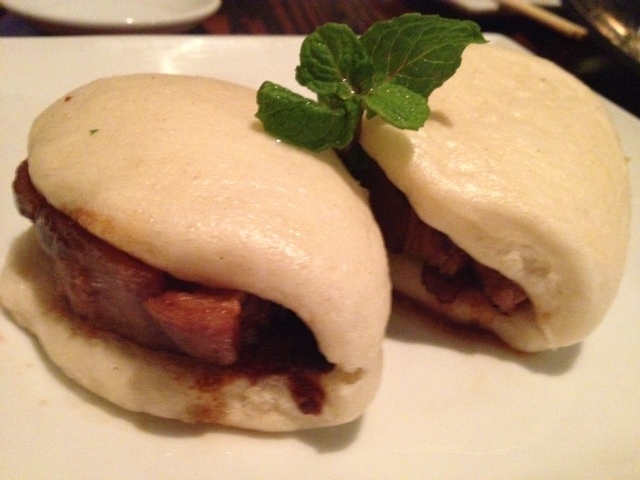 The food was excellent, the service was on par and the prices were very reasonable. We found Kenichi 1/2 by accident and 1/2 by recommendation. Our waiter, Michael, was personable, helped guide us through the menu and pointed out some dishes to try. He also didn't push us to over order or pad the bill by suggesting a super expensive bottle of sake, in fact it was the opposite, he showed us one of the cheaper options. The whole meal was really delicious. If Kenichi NYC opened, I'd be the first in line for a reservation. The must order is the crab cake. Going to a famous coffee region, we thought it would be great to get a tour of a coffee farm, sort of like a reconnaissance mission for our daily morning beverage. Lucky for us, we had a friend of a friend who's parents own a coffee farm, Rancho Aloha. We met Bruce Corker, who told us about his life long dream to grow coffee, showed us around his farm, and taught us the basics and economics of growing coffee. No tour would be complete without sampling the goods, and this coffee was so delicious that I didn't even need milk. The highlight of the tour was when Bruce instructed Gramercy Guy on the hows of roasting your own coffee, who knew all you need is a good skillet and a spoon. We took home the fruits of his labor and have enjoyed a few cups. If I close my eyes, I can imagine the warm breeze and the sun on my skin. I am worried that the coffee we ordered won't come before we finish our stash of beans. There is no shortage of beaches on the Big Island. There are many white sand and gold sand beaches, but those you can find everywhere. Papakolea, or, Green Sand Beach is a two of a kind (the other is in the Galapagos). The sand is green from the mineral olivine which was in the cinder cone of the volcano that created it. You can hike to it, which is about 2 miles out or you can get a ride with the industriousness group of locals offering rides on their 4x4 trucks. We opted for the hike, where you walk and walk with the wind whipping in your face. On one side, you have amazing ocean views, on the other there are cattle grazing on the hill. As you walk you keep thinking, is this right? look back and forward and keep going, then you come upon it, about 100 feet below (give or take) you see this cool green sand beach (an olive green) carved out of the middle of a cinder cone. After we followed some locals, we climbed down (there is a ladder and then sort of rock stairs) finally, you can feel the green sand between your toes. For those who have never felt it, green sand feels just like white sand. Hawaii has many black sand beaches thanks to its formation from volcanoes. Punaluu or Black Sand Beach on the Big Island is lined with palm trees in the back and has wide black sand getting hit by beautiful blue water with white breaks. The first thing we saw when we approached was a lot of sea turtles. You can only get so close because they are endangered. We didn't stay long, but just long enough for Gramercy Guy to take a dip (the water was too cold for me) where he was swimming a long and felt someone bang into him. When he came up from the water, it was a turtle. Not to many people get to swim with the turtles. I have to say our two biggest disappointments on the whole trip were food related, so really that's not so bad. The news that Sam Choy is a James Beard award winner and that he had a restaurant 2 miles from our hotel was a bonus. That's what we thought, until we ate there. I can not image that Chef Choy has eaten at this place in a long time. 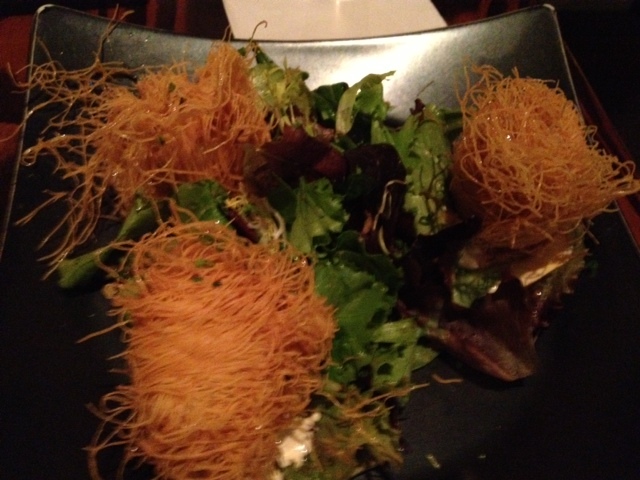 Not only was the food barely mediocre, the prices were on the high side, and the service was terrible. After our food arrived, no one came to ask us how it was. I suspect they are worried about what they might hear. I can only image that Sam Choy's Kai Lanai's business model is to prey on unsuspecting, eager tourists, who think they are getting an awarding winning meal. Take my advice, save your time and your money. In hind sight, I should have gone to Bubba Gump, at least there they are not pretending to be anything they aren't. I can't tell you how the food is, because we didn't stay. Our waitress was completely incompetent, and after her 2nd trip to 'ask the kitchen' what fish was in the fish tacos, we got up an left. I don't want to leave you on a low note, so I will also say that a highlight was our daily sunsets. You can not believe how vibrant the colors become and how the whole world stops moving for a few minutes when you take in the amazing display of the sun going down. Mmmmm! 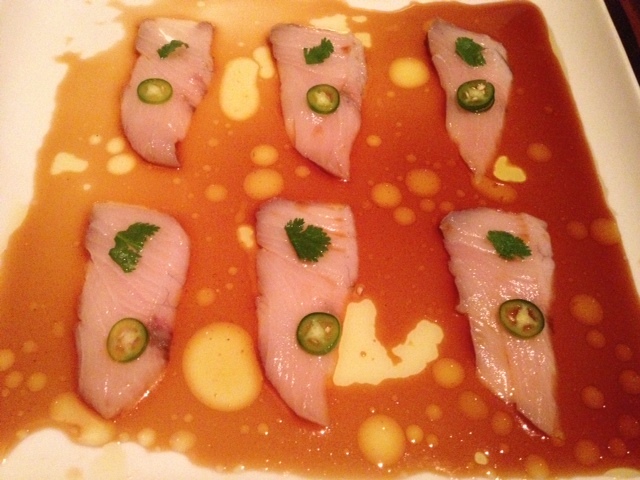 Yellow tail sashimi with ponzu and truffle oil!